Are we making progress when it comes to interoperability? It may seem like a simple question, but in reality, it’s anything but, because, depending on who you ask, the answer can vary quite a bit. For example, patients and caregivers trying to access records might say the industry has made zero progress. On the other hand, those who have been working tirelessly to make interoperability a reality — who have seen firsthand the evolution of data exchange in healthcare, have a different perspective entirely. As a 20-year veteran of health IT – and CEO of Sequoia Project – Mariann Yeager falls into the latter category. In fact, she’s optimistic about the future, and it’s because of the progress she has seen since the organization was launched in 2012. 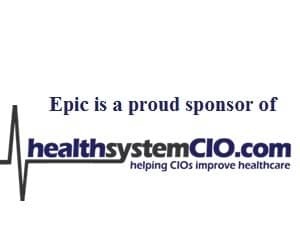 Recently, healthsystemCIO.com spoke with Yeager about how Sequoia Project acts as a “facilitator” among health systems, vendors, and government agencies; its key initiatives, including supporting disaster response efforts and interoperability testing; and what she believes are the most challenging and rewarding aspects of her role. We’ll know we’re successful when information flows seamlessly and across the whole continuum of care. Until then, we’re focused on narrowing down what the big impediments are and working collaboratively with different stakeholders. It’s really about collaboration — the broader that is, the better and the more successful we’ll be. It’s very important to Sequoia and everything we do to have open dialogue with all these different groups. We’re going to solve it together, not alone. Our role is supporting a broader deployment and expansion of PULSE and making sure we’re helping to improve the state of readiness for our country. I believe it should be part of our core infrastructure. There are also some overarching things that would really benefit from national level coordination. Now that we have real-world interoperable health information exchange occurring, the last thing you want to do is something that would disrupt it. We see Sequoia’s role as that of a facilitator who can help with the analysis and bring to light the different perspectives. If there are areas where there’s commonality, we’d like to capture those. And if there are disparate views, we can capture those as well, and use that as feedback for policymakers. Gamble: Hi Mariann, thank you so much for joining us. I think the best place to start is with an overview of Sequoia Project and its mission. Yeager: Certainly. The Sequoia Project is a nonprofit public-private collaborative. We’re fully focused on advancing nationwide interoperability for the public good. We were chartered to offset the burden of government and to really advance the cause in a way that makes sure the interoperability capabilities we’re helping evolve and grow for the country are really suited to meet the broadest needs possible. In terms of our mission, we’ll know we’re successful when information flows seamlessly and across the whole continuum of care. Until then, we’re focused on narrowing down what the big impediments are and working collaboratively with different stakeholders across industry and government to solve those issues. Gamble: Can you talk about the restructuring and how that has changed things for Sequoia? Yeager: Sure. The restructure was very strategic. It wasn’t just an organizational change; it was a reflection of the growth we’ve been helping to support over the past several years. The eHealth Exchange has grown considerably over the last six years under Sequoia’s stewardship, and it became clear it was ready to stand on its own with its own corporate structure and its own governance. Similarly, Carequality has grown considerably this last several years. The timing was right because the eHealth Exchange is a health information network, and as that community planned to sign the Carequality framework and begin exchanging data with other networks, it was important for each of those organizations to operate under their own structure. It was a very strategic move, both for those entities and for Sequoia, because what we realized over time is the breadth of our work — even independent of those initiatives — has continued to expand. And so we really have the ability to continue providing support to those organizations through management services, and also to buckle down and start tackling some other big interoperability challenges. That’s what Sequoia is stepping up to do. Gamble: What type of stakeholders are you working with, for the most part? 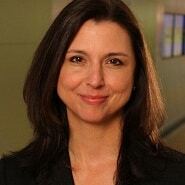 Yeager: We work with health systems, provider organizations, the IT vendor community, integrators, governmental agencies, public health, research, long-term and post-acute care, behavioral health — really across the whole continuum, as well as individuals that represent the perspectives of consumers. If you think about what we’re trying to accomplish in terms of making sure information flows seamlessly, that’s enabled by having trusted partners and having networks and frameworks that have integrity and are geared and calibrated to meet the public good. To have that level of trust and integrity, we feel that we really need all the voices around the table — those of clinicians, those using these capabilities, and the organizations and companies that develop those capabilities. Having those perspectives is what really helps us really advance the ball. Gamble: Do you have direct contact with leaders from the vendor community and health systems? Yeager: All of the above, as well as healthcare provider organizations, and the associations that represent those groups. We also work really closely with other associations and interoperability initiatives. We compare notes. We’re constantly exploring how our work can be synergistic and complimentary to one another. It’s really about collaboration — the broader that is, the better and the more successful we’ll be. It’s very important to Sequoia and everything we do to have open dialogue with all these different groups. We’re going to solve it together, not alone. It’s a team sport. Gamble: Right. Can you talk about some of the current initiatives that are underway, including PULSE? Yeager: Sure. We have several key initiatives underway, one of which is PULSE (Patient Unified Lookup Service for Emergencies). We also have a new cooperative: an interoperability leadership forum called Interoperability Matters, and we’ll continue evolving the work we’ve done thus far around patient matching. Those are the three big ones. We’ve also invested a lot in interoperability testing. We provide testing services that will help mature heath IT systems so that they’re more capable of sharing information without customization or tailoring. You mentioned PULSE. That initiative is really interesting — it sort of calls to the DNA of Sequoia. We started working with Department of Health and Human Services and the California Emergency Medical Services Agency as they were supporting the first implementation of PULSE in California. It’s a system used by disaster healthcare volunteers who are deployed and assigned to treat patients who had to evacuate and are seeking care in shelters, and therefore aren’t able to receive care through the normal delivery system. PULSE enables volunteers who may or may not have privileges at a health system — and certainly don’t have access to the electronic health record system, because they’re in a makeshift clinic — to access data. When they greet patients, they’re able to capture some simple demographic information and use PULSE to search for those records and retrieve basic information, such as medications. Usually when folks are evacuating, it happens without much notice. They often leave without their prescriptions; they may not even recall what medications they’re taking. With PULSE, that information comes up in real time so you can see what medications an individual has been taking, as well as allergies and problem lists. It gives a snapshot of their health, which has been invaluable. In fact, PULSE was implemented and used for the first time in 2017, and was used quite extensively during the recent California wildfires. Gamble: And the recent hurricanes last fall, I would imagine. Yeager: That’s right. The interesting thing is that right now, PULSE is controlled through the jurisdiction of the state. The state agencies have to agree to implement PULSE, and they’re the ones who control when it’s activated. Where Sequoia comes in is making sure PULSE can connect to the national network. And so, instead of trying to create a new emergency response network, PULSE is a system that disaster volunteers use that plugs into the national network. We’re working with a number of the states in the Gulf Coast area, where there’s keen interest, as you can imagine, to have that type of capability. Our role is supporting a broader deployment and expansion of PULSE and making sure we’re helping to improve the state of readiness for our country. I believe it should be part of our core infrastructure. And so, we’ll continue working in earnest and leveraging the experiences we’ve been able to glean from the work in California to come up with a model for the country. Gamble: You said the goal isn’t to create a different disaster response network, because I imagine one of the challenges you’ve seen is having more than one network in place. And so you’re focused on getting things more centralized? Yeager: Correct. There’s been a lot of investment and progress to date with health information networks like eHealth Exchange and others that are supported by vendors such eClinicalWorks and Athena, as well as some that are supported regionally. The idea is to leverage the existing infrastructure and use the connectivity that providers already use day in and day out. The difference is that now we’re using it now for emergency treatment purposes. The nice thing is it really doesn’t require anything unique other than the capability of PULSE, which ties to the state volunteer system. PULSE is able to scale because it can leverage the existing health information networks — in this case, the eHealth Exchange. And as eHealth Exchange connects to Carequality, it will get to other networks as well. And so we’re really excited about the ability to demonstrate that this is good not only for care under normal circumstances, but also for unexpected events. In those cases, it’s imperative to make sure PULSE is available — that’s where we’re trying to support. Gamble: The other initiative you mentioned was Interoperability Matters. Can you talk about the work being done there? Yeager: Yes. Interoperability Matters is our newest initiative. There is so much great work taking place across the entire healthcare sector. We’ve been informally working with a number of interoperability initiatives and groups over the years, and we realized that we need a point of coordination to tie some of this great work together and to do some much-needed prioritization. There’s a lot of work that needs to be done, and there are different experts advancing the cause in their particular domain, but there are also some overarching things that would really benefit from national level coordination. Now that we have real-world interoperable health information exchange occurring, the last thing you want to do is something that would disrupt it. Then there also some overarching challenges that we think would really benefit from more of a coordinated voice, so that we can establish some much-needed focus and say, ‘what are the top two or three things that we really feel that we can solve today?’ Interoperability Matters is about bringing all of those voices to the table and getting them to agree on what are the top two or three priorities that we need to focus on as a country to advance the state of interoperability. Not that any group is going to solve anything, but it can determine what are the handful of activities we can double down on to make some progress. So, it’s not really so much about thought leadership and writing white papers and all the good work that goes into those types of activities, but really focusing on getting the implementation community and the user community to agree on the few things we need to solve or improve, then come up with resources, whether they’re specifications, testing requirements, or new use cases we can get consensus on so that we can move forward. We’re in the process of setting up the structure and governance, and then we’ll gear up to try to get some common threads that will come out of the information blocking draft regulation. We think that’s an opportunity to help educate the whole implementation and user community about the different interpretations and different perspectives that will come to light. It’s interesting because so much of the time, we’re focused on consensus. Information blocking is one of those areas where we feel there are going to be many different perspectives, but our thinking is that we all learn by understanding those perspectives. And as a by-product, that will help all of our understanding. We see Sequoia’s role as that of a facilitator who can help with the analysis and bring to light the different perspectives. If there are areas where there’s commonality, we’d like to capture those. And if there are disparate views, we can capture those as well, and use that as feedback for policymakers on the practical, implementation-level implications of information blocking. So they’re going to be very targeted and focused on the issues that impact real-world interoperability today and the implications around that. Gamble: In your conversations with stakeholders, what do you find are the biggest challenges when it comes to interoperability? Yeager: There are a lot of needs. One activity that would be beneficial is improving the quality and consistency of the clinical content that’s being exchanged. Carequality and CommonWell and other groups have gotten together and come up with a specification to improve and expand upon the data being supported for consolidated C-CDA exchange. It’s broadly supported today, but we don’t have an implementation plan for it. And so some vendors might be able to prioritize it sooner, others maybe 18 months from now. There’s so much we need to focus on — that’s why we need to prioritize. It could be a high-value use case. Some folks are hoping to expand connectivity in care cancer care, because that’s an area where individuals tend to be acutely aware and involved in coordinating their care, as they’re often seeking treatment from many different providers and specialists. Interestingly, very few oncologists are connected to health information networks. Meanwhile, we have a population of patients who would benefit from having their health records exchanged across the many different providers from whom they’re seeking care. So there are several opportunities. I would say we’ll have a better sense once we start socializing and getting input from the community in the next couple weeks.